Jeff is a native of York, Pennsylvania where he began playing golf at the age of ten under the careful guidance of his father. His passion for the game grew as he competed through his high school and college years. A “Range Rat” as a youngster, Jeff loved studying the swings of the better players at the club and would often mimic what he felt were their best attributes. This led to more in-depth research which included absorbing an endless number of golf instruction books and videos. 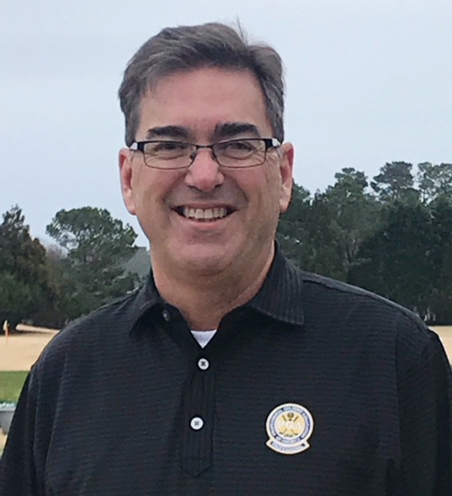 Jeff is now a 25-year member of the PGA of America and previously worked in Central Pennsylvania as a Head Golf Professional, General Manager and Director of Education. He has continued his exploration of the game by attending countless instructional seminars and teaching summits given by the world’s greatest teachers. Jeff has long been an advocate for Junior golf. As Golf Professional at Cool Creek Country Club and Bon Air Country Club in Central Pennsylvania, his junior programs introduced more than a thousand kids to the game of golf. Jeff is also a former high school golf coach and was awarded the life-time achievement award for his contributions to high school golf in the York area. Between his stints at Cool Creek and Bon Air, Jeff spent 6 years as the Director of Education at the YTI Golf Course Management Program where he assisted students in pursuit of their dream of working in the golf industry. Jeff is the proud father of former Wildwood employees Mindy & Erin Glatfelter, both of whom earned Player of the Year honors while playing high school golf.